Students at Flint Hill Elementary celebrated the end of the school year with a Day of Service, learning about people in need locally and around the world. They stuffed over 125 new backpacks with school supplies for foster care kids as part of their Art of Giving Workshop. 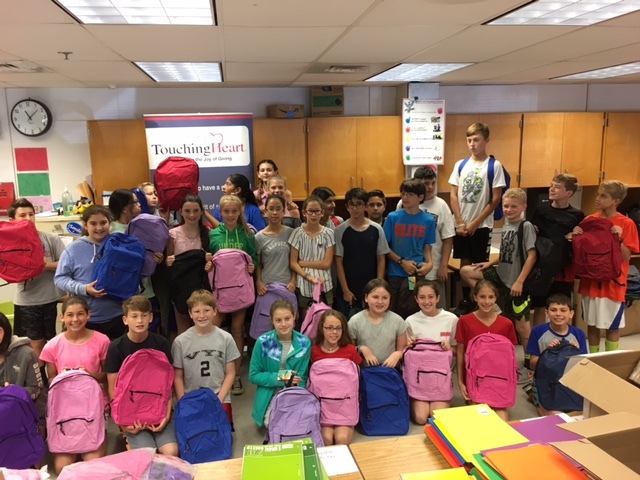 Students learned more about foster care and were excited to help other kids by stuffing brand new backpacks with notebooks, paper, colored pencils, pens, pencils, glue, rulers, erasers and more! What a great start those kids will have when back-to-school rolls around this fall! We couldn’t be prouder of the kids at Flint Elementary for their big hearts! !